Are you a Time Warner Cable customer in New York (or anywhere) looking to get the latest news on your beloved New York Rangers, Islanders, Knicks, the Buffalo Sabres, or the New Jersey Devils? Well, I suggest you turn to ESPN and watch SportsCenter, because you won’t find those games on your local cable listing. Time Warner Cable has dropped MSG Networks, including MSG and MSG+, from its cable roster as a result of a long-running dispute over rates. It’s a classic he said, she said situation, with both sides rushing to blame the other for the stand-off. Time Warner blamed MSG Networks’ greed and a rumored 53 percent rate hike after agreeing to a 6.5 percent hike just last year; MSG Networks cried about unfair treatment by Time Warner. “We hope the fans will remind MSG that in these economic times, no one can afford to pay 53 percent more for their channel,” said Time Warner Cable senior VP for content acquisitions Mike Angus. As usual, the losers here are the fans and cable subscribers who find themselves missing things they may or may not want to see. 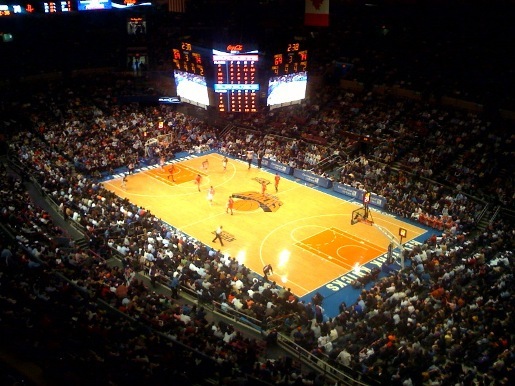 For new, the old MSG spots are being filled by NBA TV.